Trustees of the Mary Seacole Trust (from left) Jean Gray, Lisa Rodrigues (vice chair), Karen Bonner, Dawn Hill (President), Trevor Sterling (chair), Roxanne St. Clair (treasurer), Jermaine Sterling, Ros Trennick, Steve Marsh (secretary), Raf Alam. In 1973, aged 18, I joined the NHS. My first job was at a learning disability hospital. It was a backwater for patients. And also for staff, 50% of whom were Black, Asian or other ethnic minority (BAME) backgrounds. Since its inception, the NHS has recruited internationally in order to meet staff shortages in less popular parts of the service. That hospital relied on nurses from Ghana, Nigeria, the Philippines, Mauritius, Sri Lanka and the West Indies to look after some of the most vulnerable people I have ever met. Three months later, I left my new BAME friends to start nurse training at the prestigious Hospital for Sick Children, Great Ormond Street (GOS). Here, things were different. Of the 150 student nurses who started in 1973, 150 were female, almost all were middle-class, and every single one was white. There were of course BAME staff at GOS. They worked in the kitchens and cleaned the wards. They served us in the canteen. There were a handful of black and Asian nursing assistants, and the occasional agency nurse. And there were BAME pupil nurses, doing a shorter, less academic course than ours, who would eventually become State Enrolled Nurses, a second-class role which precluded them from promotion to becoming a staff nurse or sister. I cannot recall a single black ward sister. This is not a criticism of my alma mater, by the way. Things were the same across all the London teaching hospitals. 41 years later, we discovered that not much had changed. In March 2014, the year I retired from the NHS, Roger Kline published his excoriating Snowy White Peaks report. We learned that whilst 70% of the NHS workforce was female, and 20% BAME (30% BAME amongst nurses, and 40% BAME amongst doctors), the top of the NHS was almost totally white and predominantly male. This stinks. It is institutional sexism amd racism. I have written about it before, and how Mary Seacole can help us challenge such shocking stigma and discrimination. 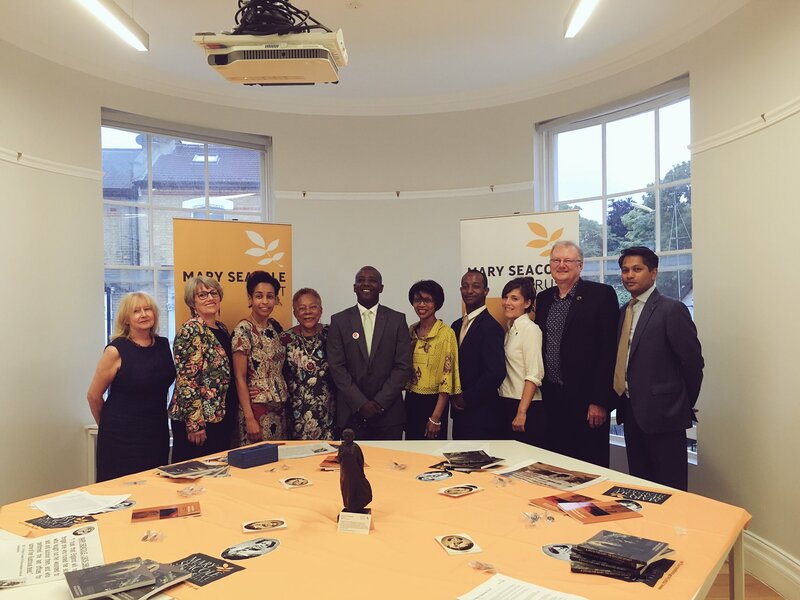 On Thursday 29 June 2017, 1 year minus a day since Mary’s beautiful statue was unveiled outside St Thomas’ Hospital, we launched the Mary Seacole Trust at the Black Cultural Archives in Brixton. Our aim is to use Mary’s legacy – compassion, creativity, dynamism, entrepreneurship and most of all, never giving up – to inspire people of all ages to achieve their best in whatever walk of life they choose. You can read about our first two programmes and a bit more about us on our new website. Plus a lovely 5 minute film made by one of our trustees, Jermaine Sterling. Do take a look – it’s great! But when I was asked by our chair, Trevor Sterling (who left school at 16, yet is now a renowned lawyer and partner in a prestigious law firm plus one of the funniest, nicest and most effective people I have ever met) if I would be the new charity’s vice chair, I had to think hard. I felt the need to challenge myself about whether such an honour was deserved. I have had my share of difficult experiences, but I have not experienced racism. White people like me have to take care to avoid cultural misappropriation. We have to watch our privilege. So I talked to my BAME friends, including some of the other trustees. And they said this. They reminded me that we are all part of the human race, brothers and sisters under the skin. And they welcomed my support because making sure everyone achieves their best is not just their fight. It is our fight. So I said yes. I promise them and all of you to use my talents, such as they are, plus my experience and connections to help inspire people of all ages to achieve their best, based on merit, passion and hard work. Not what school they went to, who their parents are or the colour of their skin. Just like Mary Seacole. Mary had to fight many fights. She never gave up. And nor shall we. To sign up as a member of the Mary Seacole Trust, or just to learn more about us, click here. What would Mary Seacole do? On difficult days, I ask myself what Mary Seacole would do. Those who seek to denigrate her memory are more than mean – spirited. They not only question her nursing contribution in the Crimea – for which she was honoured by the British Army, the Times newspaper, Her Majesty Queen Victoria and 80,000 members of the public who attended celebrations in her honour. They also question whether she actually was a nurse. They say that she wasn’t really black. 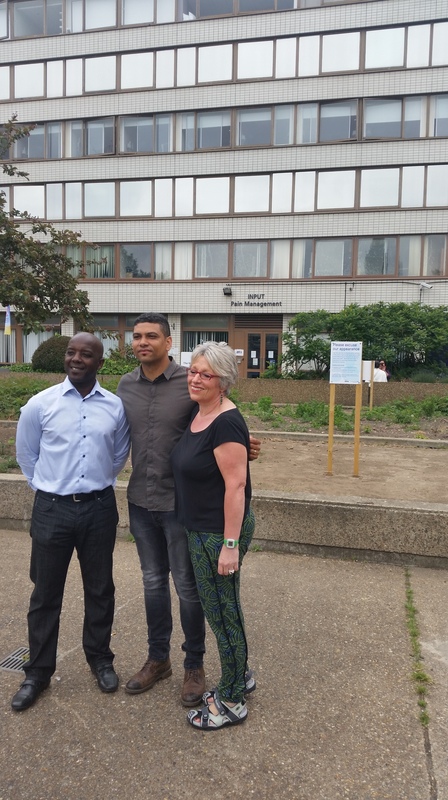 And having campaigned as hard as they could to undermine the Mary Seacole Memorial Statue Appeal, they now say that it is OK for there to be a statue to commemorate her, as long as it is small and not in a prominent position. I will not stoop to naming these people nor to referencing the nastiness they have whipped up. Articles in The Independent and The Guardian have helped set the record straight. 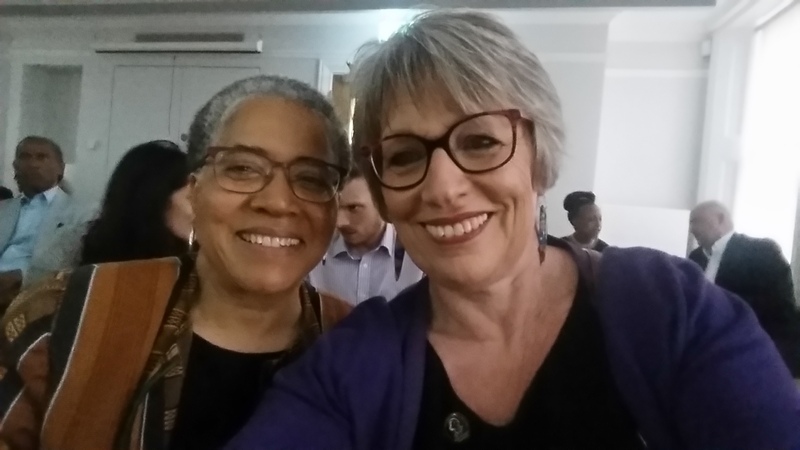 And today my dear friend Professor Elizabeth Anionwu CBE, Vice Chair of the Mary Seacole Statue Appeal, pictured with me above, will be on Woman’s Hour talking to Jenni Murray about the importance of Mary’s memory to all who believe in equality. And today is the day that Mary’s beautiful statue, created by renowned sculptor Martin Jennings, will be unveiled outside St Thomas’ Hospital in London. Mary will proudly face the Houses of Parliament across the river. And she will be the first statue to a named black woman in the whole UK. We need Mary’s legacy now more than ever. The referendum campaign has unleashed xenophobia and racism. The poster of people with dark skin queuing for refuge with that hateful slogan underneath said it all. Some hoped such ugly days were over. Many knew this was not so. Fear and hatred for “the other” lie behind words such as “I’m not a racist but….”. The NHS is not immune to racism. Or sexism. I have nothing against able and honourable white men. But when the NHS workforce is 70% female and 20% BME, why does the top look so male and so white? This excoriating report by Yvonne Coghill and Roger Kline tells us a lot. About unfairness and disadvantage and about how NHS staff who experience these things can lose hope. It was published earlier this month. It is in danger of sinking without trace unless we do something different now. I have no personal experience of racism, although I have seen it in action. Sometimes I have done something about it. And sometimes I have not. For this I am ashamed. I do have experience of anti-Semitism, of being teased for having a “funny” surname, and of sexism. I know about the stigma of mental illness. 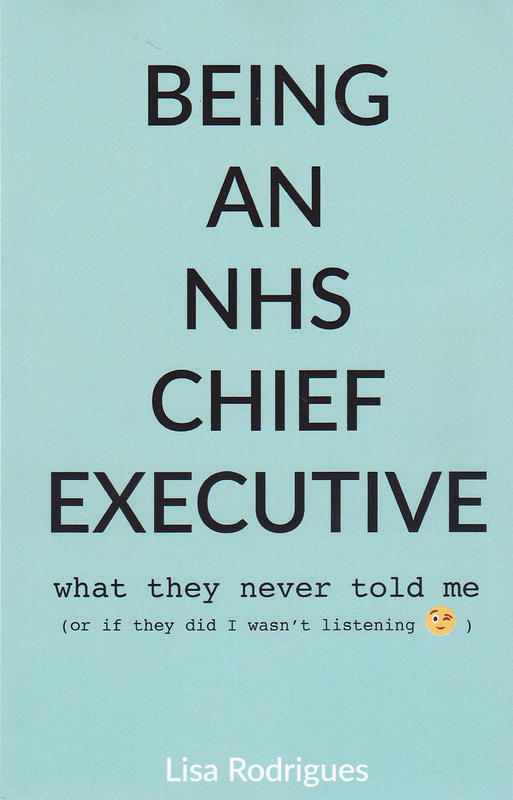 And I know that, had I stayed where I started, at a London teaching hospital, I would not have become an NHS chief executive. My face would not have fitted. It was for these reasons that I, a white woman, felt I had something to contribute to the Mary Seacole Statue Appeal. And now, trustees of our new charity, the Mary Seacole Trust, chaired by the brilliant lawyer Trevor Sterling, will be calling on Mary’s legacy to inspire those at risk of disadvantage. In schools, universities, communities and workplaces including the NHS. We will encourage people to work hard and do their best. To be compassionate AND entrepreneurial. To aspire to great things. To speak up for what is right. And never to give up. Despite not bring born in the UK, Mary Seacole never gave up playing her part in helping those from a country she loved. Throughout her life she remained proud of her dark skin and her heritage. I urge anyone in despair or need of inspiration to visit Mary’s statue. It depicts her coat furling around her as she strides defiantly into the wind to meet her destiny. These are very difficult times. Let us join Mary Seacole. And let us never give up. An earlier version of this article was published in the Health Service Journal. I have updated it for my blog and to increase access beyond the NHS. I will update it again with photographs of the statue.